This video is a recap collection of all of the stories we made for Quarter Minutes throughout the year. 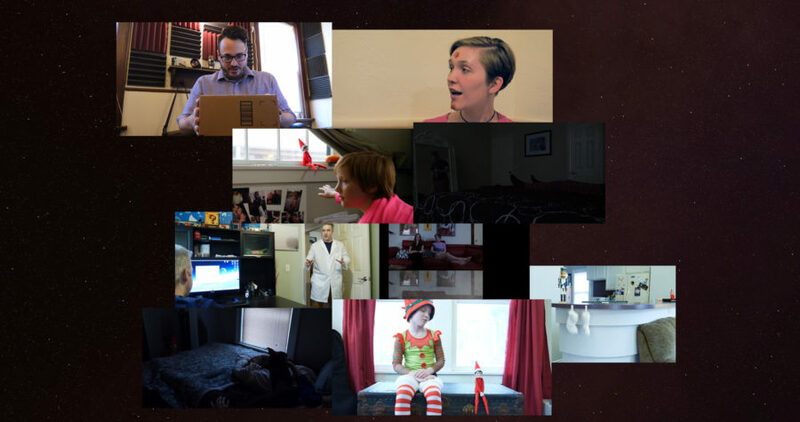 This collection contains Parallel Travels, Something On Your Face, Stranger Roommates, Afternoon Nap Killer, A Ricktastic Profit Idea, Don’t Touch the Elf, Future Elf on the Shelf, Happy Nutcracker, and Rascal of the Elf. Plus music by Matt Harris and Kevin MacLeod. To stay connect, follow Quarter Minutes on Facebook, Twitter, and YouTube. If you love what we’re doing, want to see more, and before everyone else, became a patron. We have plans to do a third season so stay tuned!